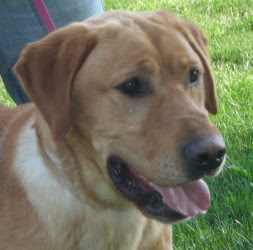 I just heard from RAGOM (Retrieve a Golden of Minnesota) that they will be able to bring this dog into their foster system to find a new home. He is such a handsome dog and has been so badly treated until now. I will watch for updates. Chance is about 2 years old. This dog lives up to his name...Chance! He was found dumped out in the county...injured and abandoned. He was taken to a local Veterinary clinic as a stray. 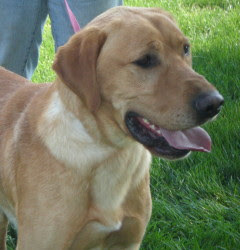 Chance is a very nice boy.....but has a ton of energy and may need some work with leash manners. Chance is good with children. He will need to meet any current dog residents living in the home before adoption....he can be a bit bossy with some other dogs. If you can offer this boy a 2nd chance at life please apply to adopt this boy...he is starting to get a bit stir crazy in the shelter...please consider offering this dog a home and a CHANCE!! 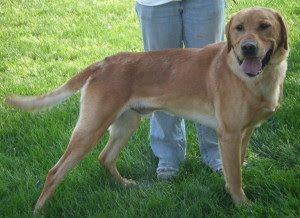 Chance is neutered and up to date on all of his vaccinations including his rabies. He has a microchip and has been wormed and heartworm checked. He has been started on a flea and tick prevention program.